In May 2012 the Habitats Directive celebrated its 20th birthday. It has been under a good deal of flak over the years, particularly from business interests both in and out of government. The reason is plain. The Directive has made member states identify important sites in their territories to the EU (with a certain amount of prodding on the way). It then tells them to keep those sites unaffected by development save in exceptional cases, where there is overriding public interest in the project, there is no alternative solution and, further, that there can be full compensation for the losses caused by the development. So a member state cannot routinely fudge things against protected habitats in favour of whatever other public interest may be uppermost at the time – wind farms, or supermarkets or chemical works or residential newbuild on greenbelt, for instance. In all but exceptional cases (see here for my post on a proposal which was said to be exceptional), you must not adversely affect the site. Now for this powerful system of protection in practice, thanks to a tour d’horizon (and de force) by the Advocate-General. The key to the Directive is Article 6 setting out both its prohibitions and its procedures. It is not an elegant piece of drafting and it takes a bit of reading to see how it fits together. Fortunately, this opinion by the UK Advocate-General for the EU Court makes its meaning crystal clear. Article 6(2) imposes an “overarching obligation” (A-G at ) on member states to avoid deterioration of habitats and disturbance of species – to “maintain the status quo…Benign neglect is not an option” . It is addressed at the every-day operation of the site. Articles 6(3) & 6(4) then are concerned with a plan or project – not part of everyday operations. Article 6(3) poses the first test – is the plan or project “likely” to have “a significant effect” on the site – and “likely” means no more than there is a “possibility’ of such an effect. This stage is simply the trigger to whether an “appropriate assessment” of the impact is required – the threshold is “thus a very low one.” Such an assessment (the second test) should consider the proposal and its impact “using the best scientific knowledge in the field” , as well as local knowledge. Its purpose is to look at the implications for the site in the light of its conservation objective, and the plan or project may proceed only if it will not “adversely affect the integrity of the site.” As the A-G put it, the first test is really – should we bother to check? – and the second – what will happen if this project goes ahead? . But what does “adverse effect” on “integrity of the site” actually mean? The A-G sets out various language versions at  – the French, German and English are very similar and abstract. The German means adversely affecting the site “as such”; the Dutch talks about affecting the “natural characteristics” of the site. So the key question, says the A-G, is “why was this site designated and what are its conservation objectives?” Once that it is answered, you can decide whether those attributes will be affected by the proposal. All very helpful – and a good deal more clearly expressed than the case law so far. Now to the case in question. An Irish Planning Inspector was concerned with a proposed road across an important geological feature known as a limestone pavement. There were some 270 ha of this feature within the protected site (running to over 25,000 ha). The road scheme would lead to the permanent loss of 1.5ha of limestone pavement. The Inspector decided that this would not seriously affect the integrity of the site. The Planning Board agreed with the Inspector. Mr Sweetman said that this was the wrong approach in law, and in due course the Supreme Court of Ireland referred various questions to the CJEU. 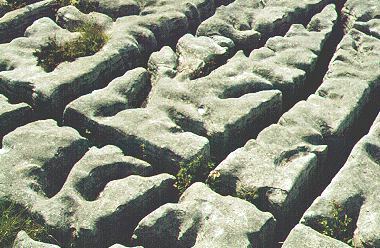 The A-G had no doubt about the answer: a permanent loss of 1.5ha of a feature underlying the designation does amount to an adverse effect  – limestone pavement was to be replaced by road to that extent. She contrasted this with the temporary works and disturbance arising from the laying of a pipeline, which, provided it could be made good in due course, would not amount to adverse effect within Article 6(3). Such an interpretation would also fail to prevent what the Commission terms the ‘death by a thousand cuts’ phenomenon, that is to say, cumulative habitat loss as a result of multiple, or at least a number of, lower level projects being allowed to proceed on the same site . it is necessary to determine whether that plan or project will have a negative effect on the constitutive elements of the site concerned, having regard to the reasons for which the site was designated and their associated conservation objectives. An effect which is permanent or long lasting must be regarded as an adverse one. In reaching such a determination, the precautionary principle will apply. One further point of wider interest. The site in question was not yet a European protected site, because the Commission had not yet confirmed it. Its current protected status as a matter of Irish law was governed by domestic regulations modelled on the Habitats Directive. The Councils argued that the CJEU had no business answering the questions referred because they did not concern a principle of EU law – it was a domestic matter of interpretation. The A-G was having none of that. The CJEU has jurisdiction to rule on the meaning of national legislation implementing EU law, even though the particular situation was governed solely by domestic law. It was important that EU-based law be capable of being interpreted by the CJEU, to forestall future differences in interpretation: . So a fascinating case – and the best way in to see the strength of the protection conferred by the Habitats Directive. Actually you are being a bit unfair to Ireland, it was Galway County Council not the Government which made this point “6(3) posed a lower level of protection than that envisaged by Article 6(4);” The NPWS(The designated body) supported me at the oral hearing. We made them a respondent so that they could not sit on the fence. I loved your opinion on the case. For once, Ireland was with Peter Sweetman – the UK joined with the Irish national planning board (An Bord Pleanála) and the local authority – the two decision-makers in this case. Human rights refers to the universal rights of people regardless of jurisdiction or other factors, such as ethnicity, age, nationality, sexual orientation or religion. The idea of human rights descended from the philosophical idea of natural rights; some recognize virtually no difference between the two and regard both as labels for the same thing while others choose to keep the terms separate to eliminate association with some features traditionally associated with natural rights. The sort of case which leaves citizens throughout Europe wondering why they elect governments. I am fascinated by your analysis of protected sites. Does a “RAMSAR” site qualify as a protected environment? There is a planning application which is causing some debate.